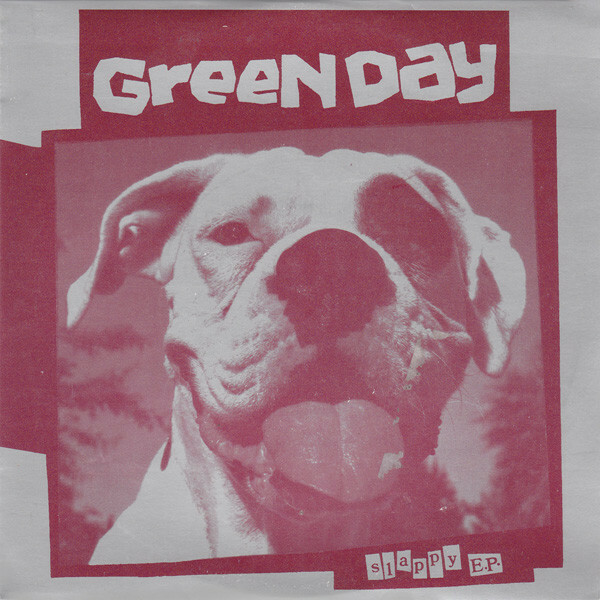 Rayons ♩ Green Day - Slappy E.P. A2: Why Do You Want Him? Released in a cardboard picture sleeve and "Green Day Bits" insert. This is the last pressing of this release on Lookout!. It comes in a cardboard picture sleeve with a recto-verso insert. Same matrix and same catalog number but with the Berkeley address. Some copies have a Barcode Sticker. Two other slightly different Berkeley address sleeves exist. One has a wraparound glossy paper and another is printed on wraparound thin cardboard, on a lighter shade of grey. Those two earlier pressings with the Berkeley address have the insert directly printed inside the wraparound sleeve . Track B2 is a cover of "Knowledge" by [a261324].